RALEIGH (WTVD) -- Areas across central North Carolina were hit with another round of severe thunderstorms Thursday night. Thunderstorm warnings were issued for multiple counties on Thursday, including Wake, Johnston, and Harnett. 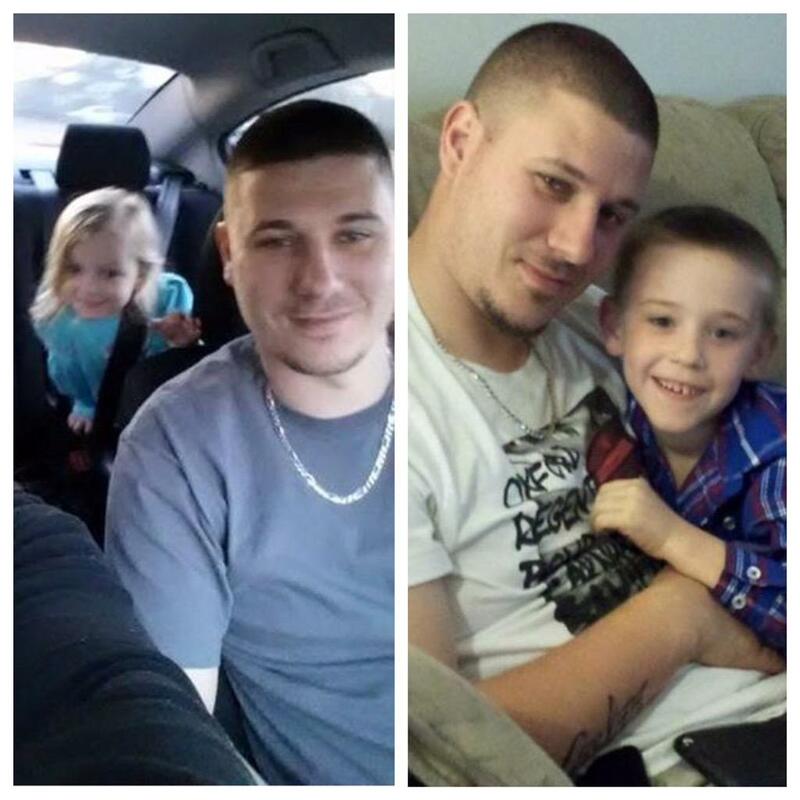 Cary officials told ABC11 that 28-year-old Steven Bryan, of Angier, died after being struck by lightning at the Cary Crossroads Plaza parking lot Thursday around 8:15 p.m.
Family members said Bryan - a father of two children ages 4 and 6 - was in the parking lot to meet a friend. Bryan's mother, Ella Cagle is devastated. She lost one son several years ago in a motorcycle accident and now, another after he was struck by lightning. Cagle said he was employed at East Coast Towing in Garner. His colleagues there tell ABC11 he was a hard worker and a great guy to be around. On Friday, fire officials were warning everyone to be ready for the next round of severe thunderstorms. "The only safe place to be is inside of a building or inside of a car," said Loren Cone, Asst. Fire Chief for Cary Fire and Rescue. "And that doesn't mean trying to make it from the building to the car. We never know when or where a lightning bolt is going to strike." Cone said it's best to have a plan ahead of time, know where you're going to take shelter and download a reliable weather app to keep you updated on severe storms near you. "Tents, outdoor picnic shelters, or trying to take cover under a tree is not the place that you need to be when a storm comes up," said Cone. Numerous homes and apartment buildings were also struck by lightning - which kept fire crews busy throughout the evening. Overnight, a fire injured one person and damaged at least four apartment units at the Courtney Place Apartments off Louisburg Road in northeast Raleigh. Hours earlier, a Raleigh fire battalion chief confirmed to ABC11 that a lightning strike caused another fire at a west Raleigh apartment complex. The chief says the lightning sparked the blaze sometime before 8:30 p.m. It hit a top unit in the 4100 block of the Villages of Lake Boone Trail Apartments. Four engine companies, two ladder trucks and rescue unit arrived within minutes. It was about 30 firefighters in all. The chief said the flames were relatively small, but they did quite a bit of damage to the attic of the top unit. The unit below suffered water damage. An eyewitness said he and his daughter were standing outside when lightning struck the building. That's when Larry Beauchamp said his two sons -- 24 and 26 year olds -- jumped into action to try to help evacuate people before first responders got here. "All of the sudden, lightning came, hit the top and you heard a loud explosion, and then there was fire and smoke," said Beauchamp. "So we ran out because my sons ran out. They were going to make sure no one was hurt. So they hit the windows on the side, broke the windows out, a rush of smoke came out, and they were banging the windows trying to get the door open." Those two young men suffered the only reported injuries. One suffered cuts and gashes from the broken glass. The other was treated for smoke inhalation. Both were transported to the hospital for treatment. The fire displaced seven people. Some residents of the Woods at Avent Ferry senior community in Holly Springs were flooded out of their homes Thursday night. Nine apartments were affected. Residents were sleeping in the community room while the clean-up began. At one point, nearly 500 power outages were reported within Wake County alone. Click her for video from Wednesday's storms. On Wednesday night, counties across the central part of the state were also hammered with lightning and hail storms that caused serious damage. After storms moved through Wednesday evening, parts of Wake County and Harnett and Cumberland counties began seeing some hail and lightning early Thursday morning as an intense line of storms moved eastward. ABC11 Meteorologist Don "Big Weather" Schwenneker said there were over 1,000 cloud-to-ground lightning strikes in the area within a 15 minute time period around 6 a.m. A couple of power outages were also reported on Duke Energy's website. The son of a Sheriff's Deputy, who was slain in the line of duty, was heartbroken when he lost the auction to buy his dad's former squad car. 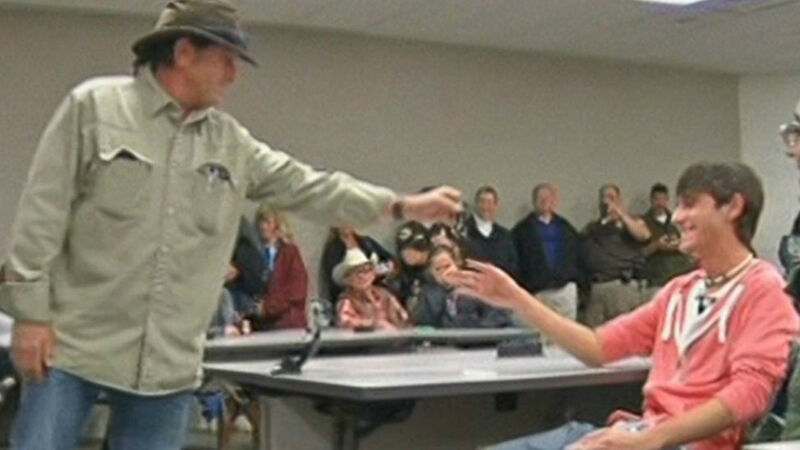 Until the auction winner handed him the keys. Wednesday night, hail the size of golf balls rained down on several towns, including Youngsville, Oxford, and Zebulon. 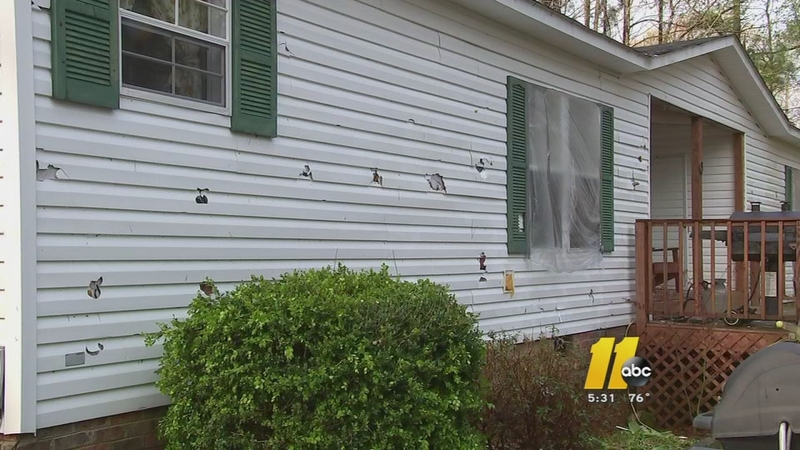 Several homeowners in Bunn spent Thursday cleaning up the mess the hail left behind. Many houses along John Winstead Road were damaged. The hail punctured the siding, leaving baseball-sized holes with the insulation exposed. "We heard a roar and like machine guns started going off in our house and we go flying back in and the hail had busted our windows out," said Janice Alvarado. Jeanette Carr was driving home from Wilson with her family when the hail began pelting the road. "My kids were crying," she said. "And I told them, I was like, 'Stop crying and just pray!' And I know it was the grace of God that got us home." When they pulled in the driveway, rain was coming down inside their house because the hail had busted out all of their windows. "We just seen glass everywhere and really, we were just thankful to be alive."